The long awaited featherweight title fight between champion Max Holloway and top ranked contender Brian Ortega is finally set for UFC 231 in Toronto on Dec. 8. Sources close to the situation confirmed the fight was a done deal on late Monday evening following a report from TSN in Canada. 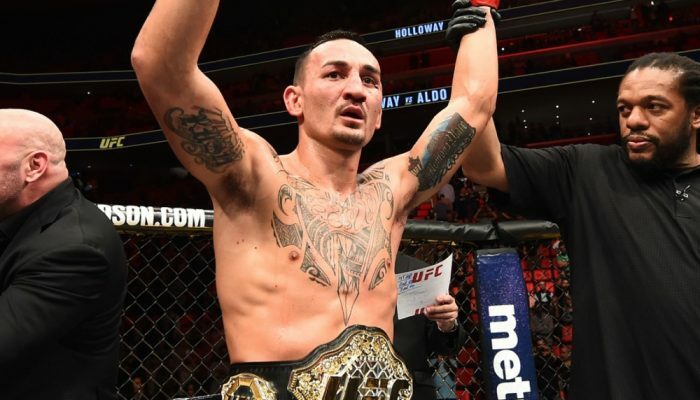 The fight between Holloway and Ortega has been rumored for weeks but it wasn’t until just recently that the UFC finally came to agreement with both fighters on the date and location. Holloway and Ortega were originally scheduled to meet back in July at UFC 226 but the featherweight champion suffered from concussion like symptoms that required a trip to the hospital, thus removing him from the card. Holloway never found out the exact reasons behind why he fell ill but doctors gave him the all clear several weeks back so he could return to competition. Now the Hawaiian champion will look to defend his title for a second time while facing the top challenger in the division in Ortega, who is coming off a TKO victory against Frankie Edgar back in March. Holloway vs. Ortega is expected to headline UFC 231 with the women’s flyweight contest between Valentina Shevchenko and Joanna Jedrzejczyk as the co-main event in Toronto.